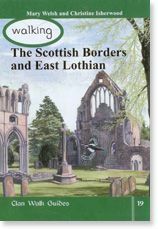 This is a book which promises inspiration and pleasure for so many: those crossing the border for the first time to explore another country; others tempted to explore scenes they have hurried past on their way to Edinburgh, Glasgow and the Highlands, and those spending time in the cities and towns who feel a longing for fresh air and lovely, welcoming quiet places.Follow our authors as they delight in the rich variety of walking opportunities unveiled. Enjoy stunning views from high-ranging hills. Relish the shade of age-old woodlands, the sweet music of fast-flowing rivers and the fascinating historic buildings and prehistoric sites encountered almost everywhere you go.